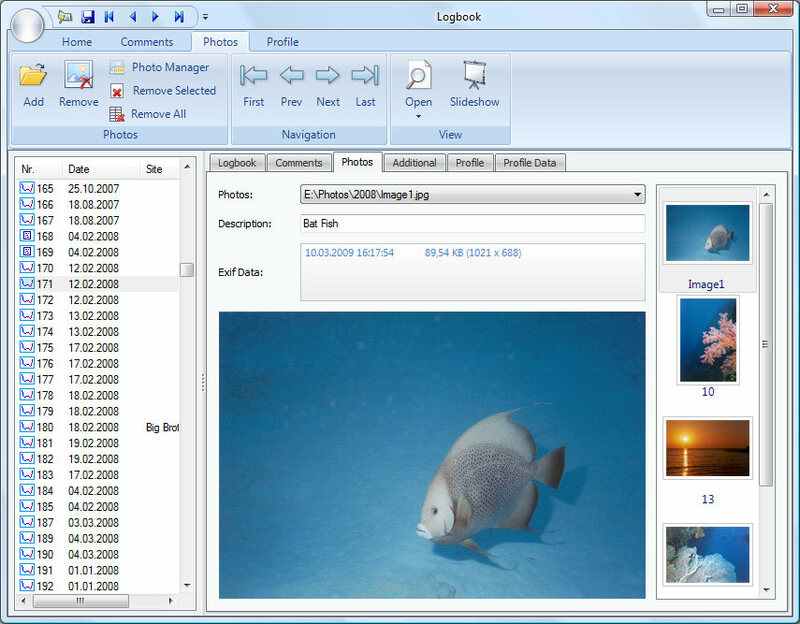 In this post I want to show you the improvements in the photo section of the logbook. As you can see in the screenshot below you have now 2 ways to navigate through the images attached to a dive. You can use the dropdown combo box or the new thumbnail preview list. The dropdown preserves a lot of space which is useful for small screens and the thumbnail list is better for wide screens. But you can also use both together. You can now edit the photo description directly in the logbook window. 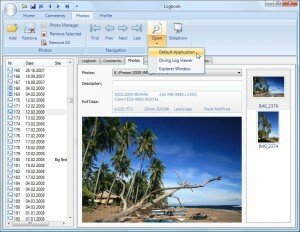 In version 4.0 this is only possible in the Photo Manager window. And you can view the Exif data of digital camera photos. 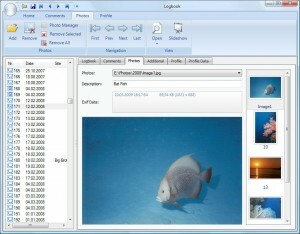 With the “Open” button in the ribbon you can view the current image either in the default application, in the Diving Log Viewer or open the Explorer folder containing the image. This entry was posted on Tuesday, March 10th, 2009 at 5:12 pm and is filed under Diving Log 5.0. You can follow any responses to this entry through the RSS 2.0 feed. Both comments and pings are currently closed. I have my photos published on the web. So I like to put an URL as a path and the share where the photo is on. I can put the url in the comments field s, but it would be nice if it was also possible in photo tab. How about entering the URL in the description field?